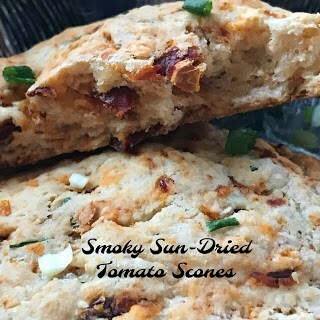 Smoky Sun-Dried Tomato Scones are made with Smoked Icelandic Sea Salt, Smoked Gouda Cheese, Sun-Dried Tomatoes and Fresh Snipped Chives. A tasty mix of flavors that makes these scones irresistible. 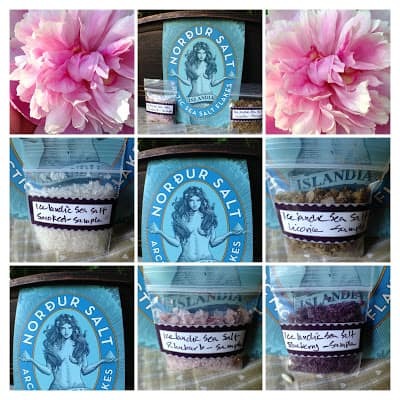 Nordur Smoked Icelandic Sea Salt gives smokey sun-dried tomato scones that extra smokiness. 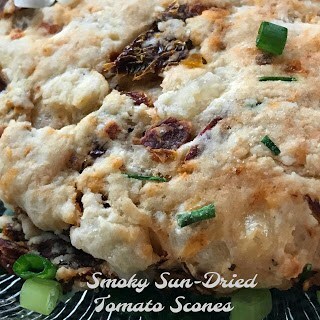 Combine together chopped fresh chives and sun-dried tomatoes. Set aside. Combine flour, baking powder, baking soda, salt and sugar. Add cold cubed butter. Cut in with a pastry blender until size of small peas. 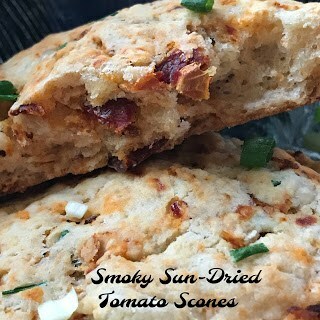 Fold in tomatoes, chives and cheese until they are distributed evenly. Add yogurt, mix only until dough comes together but is not overly moist. Turn dough out onto a floured surface. Knead by hand 5 times. Pat out dough to 5/8″ thick. Use a round biscuit cutter to cut out dough. Place dough on a lightly greased baking sheet or baking mat. Combine scraps and cut out more until all the dough has been used. Place in the oven, reduce heat to 400º and bake for 15 to 18 minutes or until golden brown. Cool on a wire rack for a few minutes then serve.